In 19th century Russia, Gothic stories and tales of the uncanny were as popular as they were in Western Europe. Russian supernatural stories differ in their ability to add humorous, grotesque, and realistic elements to the romantic Gothic framework. 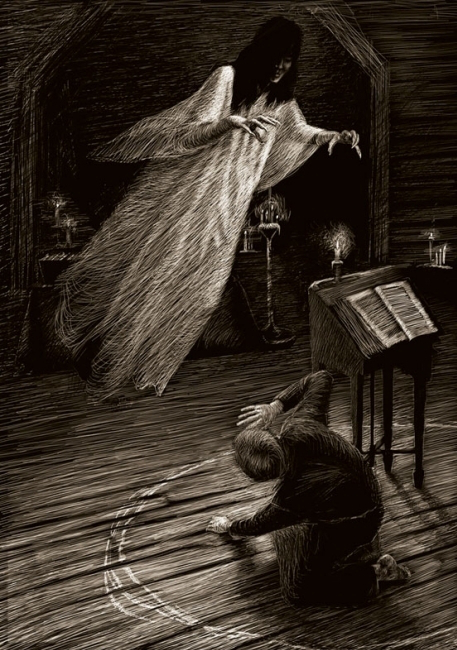 Gogol’s “Viy,” a fantastic story set in Ukraine, is an effective and frightening horror tale that treats the supernatural as the underlying motive of human affairs. 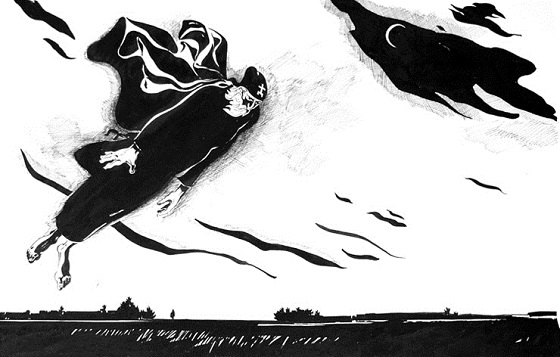 Gogol’s “Overcoat” has been frequently interpreted as a masterpiece of humanitarian realism, but it is also an ambiguous ghost story and a parable. As Nabokov famously says in his Lectures on Russian Literature, “Gogol’s ‘The Overcoat’ is a grotesque and grim nightmare making black holes in the dim pattern of life.” Turgenev in “Clara Milich” and Chekhov in “The Black Monk” turn to the romantic tradition to investigate the literary possibilities of the unconscious and the irrational, achieving remarkable insight into the human mind. Class Format: The class will meet on August 10, 12, and 14 at 6:30 PM Central Time. Each class will last 90 minutes. Each session will consist of a 20 to 30 minute lecture by the teacher, followed by group discussion. Age/Maturity Level: 13+ (mainly because of the content). We are going to read adult, college-level fiction. Russian fiction may contain sexual themes and episodes of extreme violence not appropriate for younger readers. I feel strongly against having very young children present and want the teens to feel that our discussions are a place where they can express the most difficult and controversial ideas openly. Course Requirements/Amount of Outside Work: The reading load will be considerable – up to 90 pages per week. Students are expected to read the assigned play in advance of each session and be prepared to discuss what they have read. In addition, the workload will include the reading of supplemental texts from various fields (essays, criticism, history, poetry, and philosophy) and writing short assignments for each class. Cost: $50. There will be 15% discount for the siblings taking the class. Payment is due before the first session. Payment will be accepted through PayPal. Both credit card payments and cash transfers are accepted at PayPal.com. It is not necessary to have a Paypal account to pay with a credit card via Paypal.com. 90% of class fees are refundable if a student withdraws before the official start of the workshop. Number of Students: Minimum 5 students, maximum 16 students. Technical Requirements: All participants must have a PC or Macintosh with internet access and a supported browser to participate in courses. High-speed internet is strongly recommended. A good microphone and a headset are required for live webinars. Headsets are strongly encouraged to reduce echo.